Lawmakers plan to introduce the bill in the House and the Senate this week. Environmental and industry groups are backing the measure, too. Over the years, Malooly said he has seen more slip-and-fall liability fall on the contractor's shoulders. He has never been sued himself, and there's no good data on how many of these lawsuits there are every year. But as someone who is concerned about how much salt his company uses, Malooly thinks making contractors liable sets up the wrong incentives. "For somebody who is less knowledgeable of what they're doing to the environment when they apply the product and more interested in addressing a consumer's request, then there is the possibility that more is going to go down," he said. While concern over salt use has grown in recent years with states and counties and cities all looking at reducing their use, consumption has also grown steadily. Switzerland-based chemist Stefan Schlag Leon Beraud, who studies the world salt market, said demand for salt is growing about 2.5 percent per year — and the Unitied States is the biggest consumer by far. 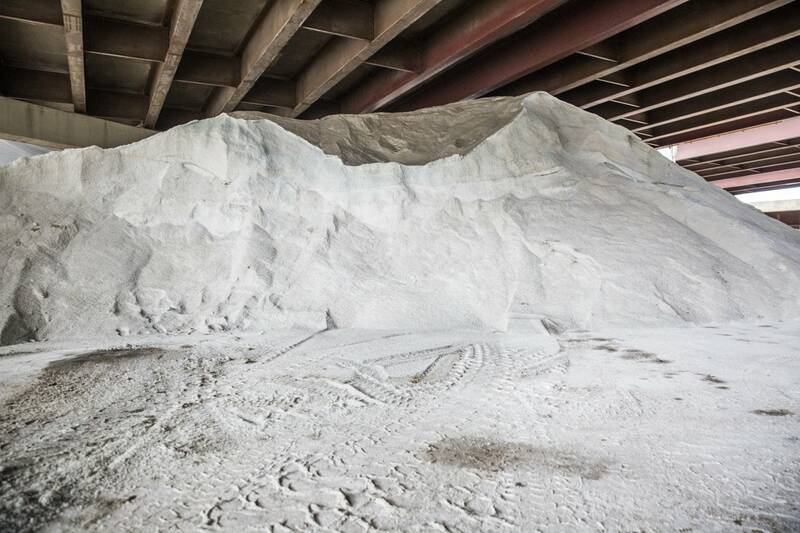 If Minnesota passes the smart-salting liability measure, it wouldn't be the first state to enact this type of legislation. New Hampshire has had a similar law on the books for a few years. It hasn't really been tested in a court of law. But the state's department of environmental services is tracking more than a dozen related cases right now, said Ted Diers, the department's watershed bureau administrator. "What we're hearing is that as soon as the attorneys hear that this person has been certified, they often drop the cases before they're going to court," he said. Illinois enacted legislation similar to New Hampshire's, and New York and Maine are also considering it this year.